School of Mechanical and Electrical Engineering, Nanchang University, Nanchang 330029, China. The traditional design method of scroll profiles is single-objective optimization. The parameters are provided by meeting the requirements of designing and machining. It is very difficult to get an optimal design scheme. In fact the design of scroll profiles is a multi-objective optimization problem. 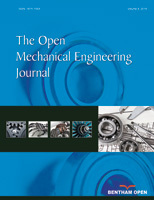 In this paper mathematical models of the scroll compressor are fully analyzed in theory. A cost function is designed and it not only guarantees the lower friction loss power and leakage loss power but also has higher efficiency compared with the existing methods. In a practical example, multi-objective optimization of the scroll profiles is realized based on Chaos PSO. The outcomes show that this design method is well developed. It is possible that this design method can be applied to other fields of study.